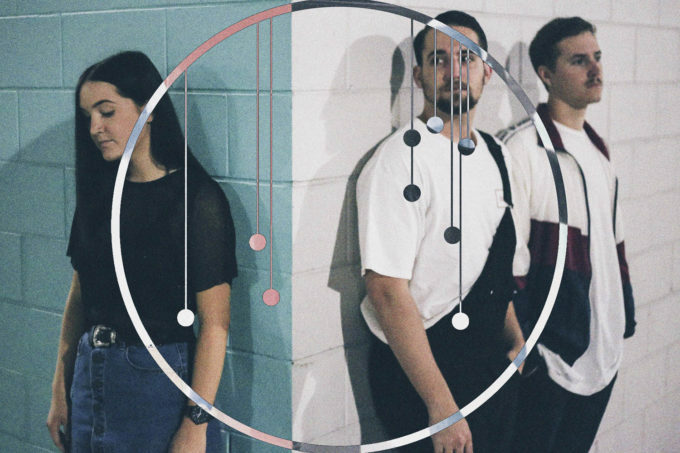 Get to know LEØ on your Friday morning; the Queensland-based three piece have just released their beguiling new single ‘Ghost’ and have a debut EP due early in the new year. But who are they? What makes them tick? What’s their biggest claim to fame and where might you be able to catch them live? Discover the answers to those and more questions in our latest feature. 01. Band name : LEØ. 02. Where are you based? We’re a mix of Gold Coast and Brisbane, sort of in-between the two cities. 05. What’s your biggest claim to fame so far? When we hit two million plays over on Spotify, definitely. But let’s hope there’s more claims to be made. 06. Who are your members? Chloe Pilkington, Callum MacDonald, and Joshua Black. 07. How was the band formed? I heard Chloe do an amazing cover of Chet Faker’s ‘Drop The Game’ on Soundcloud and instantly got in contact to have a jam on a couple of songs. After a few months we uploaded our music to the internet and became a three piece with Joshua and have made more and more great music ever since. 08. In what ways has the band changed from when it was formed to today? This is easy to answer. Experience. As a new band, we had no knowledge of the industry, from publicity to live performing. We arrived to our first show and didn’t know how to set up on stage and were very embarrassed. Since then we’ve made awesome friendships with other artists and have a much larger grasp of how this great industry works. 09. Tell us a little bit about your sound. I think our sound is evolving more and more as we develop as artists, however it’s for certain that we’ve mastered the ambient sounds. We like to construct our songs with many subtle elements that can’t always be heard so vividly in a track, but each element has an importance that establishes the track as a whole. If you head to the bottom of our Spotify page, you’ll see we all have our own playlists so our fans can see where each members inspiration and music taste stems from. 11. What’s your strangest experience as a band? There was one performance we did in Brisbane, when we had some gear taken from backstage. That was not only strange, but also aggravating. And then Chloe once had a friend travelling Europe, and he heard our song being played on his tour bus! Very cool, also kind of strange. 12. Tell us about your latest release. The latest track is an abundance of sorrow and tragedy. Chloe’s vocals are so delicate and refined, yet husky and warm, that she controls the song with her emotive and tasteful lyricism. The track naturally grows, as relaxed beats turn more complex, and the instrumentation is minimal to allow the vocals to really take the spotlight. 13. What do your future plans involve? We have our debut EP out on January 12 and you can expect to see us showcasing the EP not long after that. And I can definitely say we’re continuing to write more music, lots to look forward to! 14. Where can our audience catch you live? We have one more show this year, supporting Tigertown with Amy Shark at The Woolly Mammoth on December 10, which will be loads of fun.